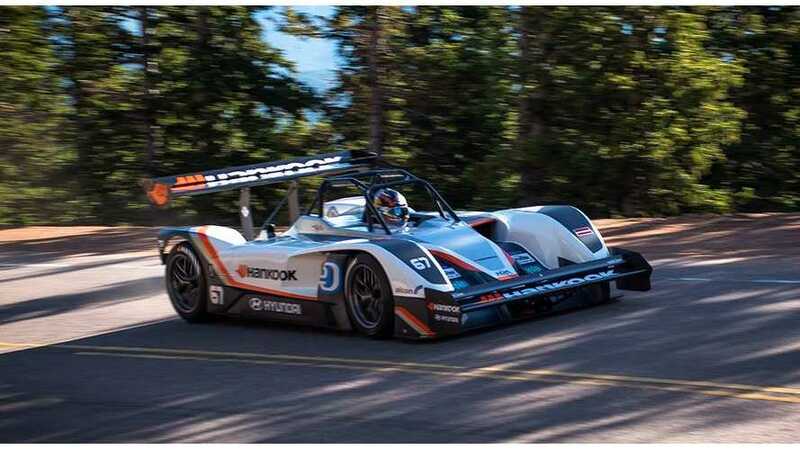 The 2016 Pikes Peak International Hill Climb brings mixed feelings for EV enthusiasts. On the positive side we have new EV time record of 8:57.118 (first time ever below 9-minutes) set by the eO PP100 driven by Rhys Millen, and two EVs on the podium overall - the eO PP100 and Acura EV Concept. Sadly the PPIHC win went to a conventional race car this year, which was few seconds quicker - Romain Dumas set the standard in a 2016 Norma M20 RD Limited, completing the race in 8:51.445. In 2015 EVs were able to win, but this year, fell just over 5 seconds short. Bonus: Catch Rhys Millen's impressive run below, as well as full race results and some bonus footage. A Race-ready Tesla Model S set a new production electric car record: 11:48. Also on the two-wheeler side, EVs wern't able to repeat the victory of 2013 either (Lightning Motorcycles in 2013 completed in 10:00.694). Don Canet on the Victory Empulse RR was however the second fastest among motorcycles with 10:17.813. Nearly two seconds ahead of conventional Victory bike.